(L-R) Christian Rojkjaer, Managing Director of IKEA Southeast Asia; Yang Berbahagia Dato' Murly Manokharan, Group Chief Executive Officer, Aspen Vision Development Sdn Bhd; and Pathmalingam Arumugam, Store Manager, IKEA Batu Kawan shared that this new IKEA store will help turn Batu Kawan into a vibrant retail destination. 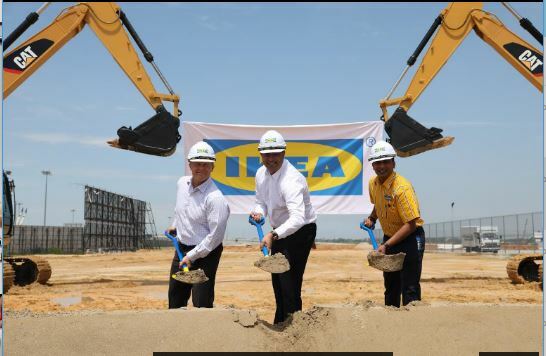 Swedish furniture giant Ikea marked the start of construction for its first store in Northern Malaysia, promising to satisfy Penangites’ hunger for affordable home furnishings – and those famous Swedish meatballs! 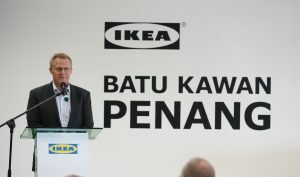 The new Ikea in Malaysia will be located at Batu Kawan, Penang and will open its doors in 2019, putting a blue-box Ikea store within a one-hour drive of more than 825,000 households in Penang. 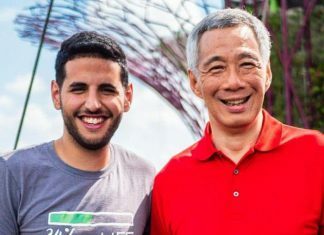 “It will be easy for millions of people to access the thousands of functional, affordable home furnishing products we have in our IKEA range – not to mention our Swedish meatballs!” said Christian Rojkjaer, Managing Director of IKEA Southeast Asia. IKEA is like a magnet for Batu Kawan,” said Lim Guan Eng, the Chief Minister of Penang and keynote speaker at the groundbreaking ceremony.